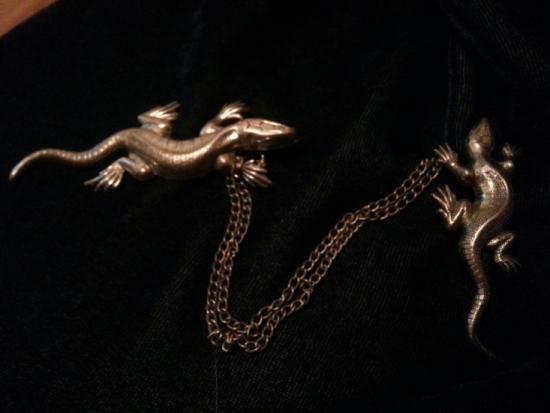 Pair of Salamander Pins on a Double Chain — A pair of salamanders connected by a double chain to hold things in place...scarves, shawls or a sweater..they do it in cool salamander style! 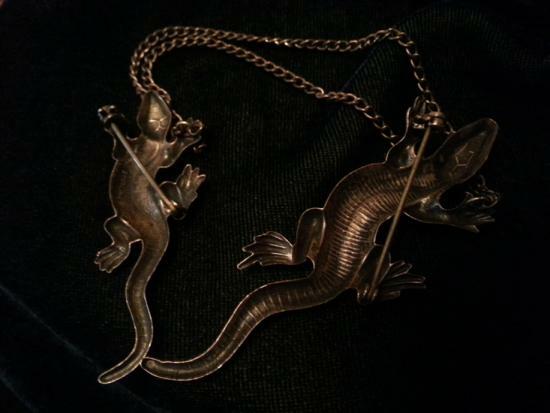 Very nicely made and clearly old, but I have no idea how old. 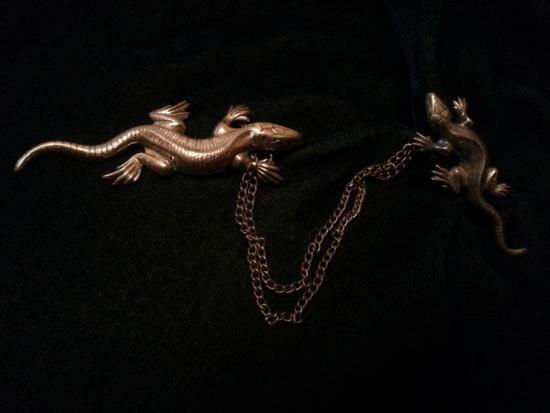 Nice feel and patina and they are fairly lightweight with brooch clasps functioning well.